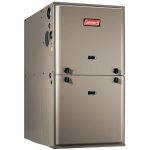 Coleman® LX Series Gas Furnaces • Reliable, efficient blower. Models with ECM fan motors improve system performance and reduce electricity use. Our models with variable-speed ECM motors include EcoTrak™ technology that can be fine-tuned to your specific climate needs. • Two-stage burner to save fuel. 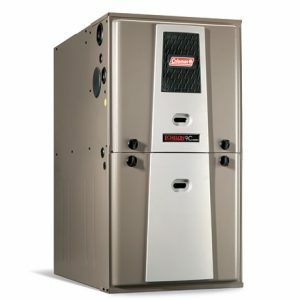 Two-stage gas furnaces can shift their level of performance to track temperatures more accurately and provide greater comfort. • Reliable aluminized heat exchanger. Advanced, tubular aluminized steel primary heat exchanger allows for high heat transfer and outstanding efficiency. • Safe, hot-surface ignition and 100% shutoff valve. This technology saves on fuel costs while increasing dependability and reliability. • Durable, low-leakage cabinet. Reinforced cabinets and gasketed doors help ensure warm air goes where it’s needed, quietly and efficiently. • Year-round comfort options. For even greater flexibility, a Coleman® split system cooling coil can be added to handle summer weather.